"Life is a beach so why not enjoy the waves?" India, as we all know, is a hub of the most exotic and beautiful places in the world. One can find all sorts of places to visit, ranging from temples to ancient monuments to places which adorn modern-day architecture. With 71% of the surface of the Earth is covered with water, there must be a lot of places to visit which are located on the side of the sea - an island maybe? Islands are perfect getaways from the hustle bustle of the fast-moving life in the city. It provides a sense of belongingness and peace to oneself. Keeping in mind that there is bad to every good, we bring to you some of the most beautiful islands in India, saving you the disappointment as well as some research work. With some of the best beaches in the world, Havelock Island is a tourist destination on its own. Located within the famous Andaman and Nicobar Islands, the largest cluster of islands in India, one can't help but marvel at the surreal blue waters that meat the pristine sands of the coast of this island. You can live your movie dream of lazing on a beach chair by the picturesque beaches of the island as you sip drinks while soaking in the magnificence of the view and ambience. Attractions: Famous attractions of the place include elephant beach, kalapathar beach, Vijayanagar beach and Radhanagar beach. Where To Stay: Accommodation is never a problem there is a variety of options ranging from beach huts to luxury hotels are offered to the tourists. A few budget hotels are present near the Vijaynagar beach. Also, there are luxury hotels with spa and pick-up facilities too. Best Time To Visit: The best time to visit the Havelock Island in Andaman is during the months of October to May when the temperature is mild and around 15 to 34 degree Celsius. It is also the perfect time to go for diving in the crystal-clear water of the place. How To Reach: The island can be visited by a ferry which leaves from Phoenix Bay Wharf. It takes around 2.5 hours to reach the Havelock Island. There is another coastal cruise which is a high-speed cruise and takes 90 minutes to reach the island. One can indulge in activities such as scuba diving, sea walk and trekking on the island. India's most famous island cluster, the Lakshadweep Islands are one of the most exotic tourist spots of the country, nestled amongst the deep turquoise waters of the Arabian Sea. These group of islands in India are perfect for those looking to engage in water activities like snorkelling and scuba diving. It is mandatory to get an entry permit from the Lakshadweep tourism office situated in Kochi only after which will the tourists be allowed to enter the region where Lakshadweep Islands are situated. Attractions: Some attractions at Lakshadweep Islands include Kavaratti, Agatti, Kalpeni, Bangarm, Minicoy, Kadmat and much more. Where To Stay: Lakshadweep Administration and takes care of the tour packages offered to the visitors. It includes everything ranging from tour to transportation to accommodation. Best Time to Visit: The best time to plan a trip to view the beautiful islands, dive deep into the marine life of the island and witness the bright and clear days is October to April. How To Reach: There are five ships from Kochi to Lakshadweep islands and take nearly 14 to 20 hours to reach the destination. The fare of the boat ride varies from INR 2000 to INR 5000 depending on the type of seat as well as boat hired. Not for the light-hearted, the Barren Island off the eastern coast of the Andamans is home to the only confirmed active volcano in South Asia. It is a great location for those visiting India to see the brilliant topography associated with volcanoes. Attractions: Barren Island does not have many places to go to. However, one can sure go for a sightseeing visit and get a close-up of the Island via a ferry or a seaplane to get an above ground view of the volcano. The place is famous for its scuba-diving. There are some tour packages available in Andaman and Nicobar which can be booked online. Best Time To Visit: The best time to visit the place is during the months between November and February since this is the best time to witness the volcano as well as the island. How To Reach: Barren Island can be reached by either taking a seaplane from Port Blair which costs nearly INR 7000 or a ferry ride starting from INR 400 to INR 1100 per person. A private ferry with all amenities is likely to cost somewhere between INR 1.5 lakh to INR 2 lakh. Another gem of the magical backwaters of Kerala, the 8-island cluster of the Munroe Island is a fascinating network of water canals dug out by Colonel John Munroe. This complex labyrinth helped integrate the various waterbodies of the region. Attractions: The nearest attractions to be visited include Thenmala, M.G Beach, Jatayu Rock, Varkala Beach, Chavara, Shendurni Wildlife Sanctuary, Palaruvi Falls and much more. There is a range of hotels and lodges available for the visitors. There are houseboats available too which serve the guests staying overnight. Best Time To Visit: The best time to visit Munroe Island in Kerala is during the months of October to May since the place becomes extremely uncomfortable during the monsoon season (June to September). 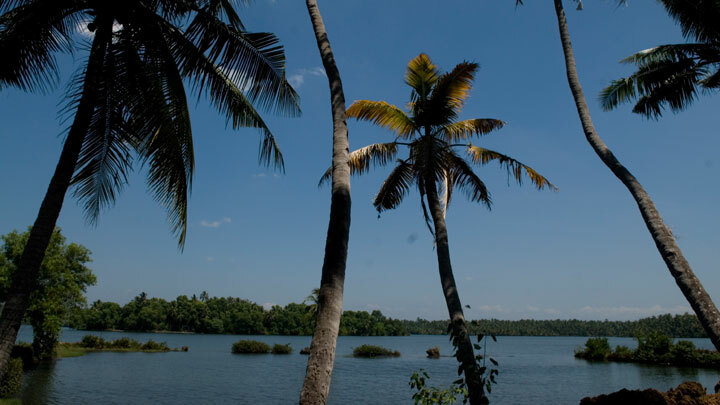 How To Reach: The island is located at a distance of about 25 km from Kollam. The island can be reached via ferry the cost of which is INR 500 and it operates in two shifts- one at 9 AM and the other one at 2 PM. The biggest river island in the world, Majuli Island is one of the many natural wonders of the northeastern state of Assam. Along with its fascinating and unique culture and lifestyle, the island's diverse ecosystem is not to be missed. Attractions: One should surely visit the twenty-one Satras which are present on the island. Some other places include Kamalabari Satra, Dakhinpat Satra, Garmur, Tengapania etc. Where To Stay: There are no hotels in Majuli. However, there are guest rooms present in the Satras. The Satras have facilities available for the tourists. Best Time To Visit: The best time to visit the island is during the months of July to March on the onset of monsoon as well as winter season. How To Reach: Jorhat is a place which is very well-connected by flights and is located at a distance of 14 km from Neemati Ghat. Two ferry rides begin from here till Manjuli at 10 AM and 3 PM respectively. Famously called the Pigeon Island, Netrani Island is accessible through the coast of the temple town of Murudeshwar, situated off the beautiful Konkan Coast amidst the alluring Arabian Sea. The scenic island, with its fascinating cliffs and jagged rocks, is perfect for those looking to spot exotic marine life like whale sharks and butterfly fish. Attractions: People generally visit the island to experience the adventure sports especially scuba diving which starts at INR 5000 per dive. The island also comprises of a ruined temple, a Roman Catholic church, and a mosque. Where To Stay: There are a number of hotels near Netrani Island including KSTDC Mayura Gerusoppa, Sagar Kinara Beach Resort, Kairali Residency, etc. How To Reach: The island is located near the Arabian Sea and can be reached by hiring boats from Bhatkal. Taxis, as well as auto-rickshaws too, are available from this place. Best Time To Visit: December to January is the best time to visit the Netrani Island in Karnataka since one can go for scuba diving, snorkelling, and other water sports which are discouraged during June to September since the sea is rough during that time. A set of four small islands off the coast of Malpe in Udupi, the St. Mary's Islands are home to one of the 26 geological monuments of India, proudly displaying the remnants of the columnar basaltic lava, created by the subvolcanic activity of Madagascar, a former part of the Indian peninsula, which separated almost 88 million years ago. Attractions: The major attractions here include the Vadabhandeshwara Temple, ruins of Daria Bahadurgarh Fort and Malpe Beach which has silvery powdered sand. Where To Stay: Since St. Mary's island does not really have a staying facility, Udupi is the place where tourists can book hotels and have a comfortable stay. Best Time To Visit: The best time to visit the place is during the months extending from October to January since the climate is pleasant at that time thereby making the stay comfortable. The most convenient and the only way of reaching the island is by means of a ferry. How To Reach: A ferry from Malpe Beach to St. Mary's Island costs around INR 150. Gharapuri, situated in the northeast direction of the Mumbai Harbour by the Gateway of India, is popularly called Elephanta Island due to the presence of the famous labyrinth of the Elephant Caves. These rock-cut marvels have been designated a world heritage site by UNESCO, representing the brilliance of ancient Indian craftsmanship. Where To Stay: There are no hotels situated on the Elephanta Island. However, one can easily come across a lot of hotels in South Mumbai. Best Time To Visit: The best time to visit Elephanta Caves is during the months of November and March since the weather is hot and humid during other months thereby making the trip uncomfortable. How To Reach: One can reach the Elephanta Island through a ferry which starts at 9 AM and the last one leaves the caves at 5:30 PM. The cost of the ferry ranges between INR 130 to INR 150 depending on the kind of boat and there is a concession for children too. One should also witness the music and dance festival there which is held for two days in February every year. The Caves remain closed on Monday. One can take the first boat to Elephanta Island, visit all the caves present there and then go up to Cannon Hill to see the old cannon, come back to the dockside and finally board the last boat back to Mumbai. With breathtaking views of the Bay of Bengal, the Rameswaram Island, situated off the eastern coast of Tamil Nadu finds a spot on this list, connected to the mainland by one of the longest sea-bridges of the country. A galore of beaches and temples await travellers visiting this iconic island. Attractions: Some very famous attractions which are a must-visit on the island of Rameswaram include Sri Ramanathaswamy Temple, Agniteertham, Gandamadana Parvatham at a distance of 3 km from Rameswaram, The five faced Hanuman Temple and Dhanushkodi. Accommodation in Rameswaram is not a problem at all. Where To Stay: One can book hotels as well as villas starting from INR 500. The stay is reasonable and very enjoyable. Best Time to Visit: The ideal time to visit Rameswaram Island is from December to February since the climate is pretty cool and perfect to plan outdoor activities. How to Reach: Since Rameswaram is located on the Pamban Island itself, one can take a train from Madurai till Pamban which will take around 4 hours. Then, a cab can be further hired to cover the remaining 10 km from Pamban railway station to Rameswaram. The largest island of the tourist trap Goa, the Chorao Island is a tribute tot he former colonial rule of the Portuguese, with their influence seen all over the quaint island. This island is perfect for ornithophiles, with Goa's largest bird sanctuary situated here. Attractions: Chorao Island is famous due to the abundant flora and fauna that it possesses. There are a lot of mangroves located here. The largest bird sanctuary of Goa is located in the western part of the island. The entrance ticket to get into the sanctuary is INR 50. There are numerous ancient Catholic churches which can be traced back to the 16th century as well as beautiful Hindu temples. Where To Stay: Accommodation facilities too are available with comfortable hotels present including Villa Terra Rosa and others with varying prices. Best Time To Visit: Mid-November to mid-February is the best time to visit the Chorao Island in Goa since the climate is very pleasant and enjoyable around this time. How To Reach: The Island can be reached by means of a regular ferry-boat from the village named Ribandar (2 km from Panjim). Three ferry boats ply in rotation throughout the day and in the evening (frequency is every 5-10 minutes). People and motorbikes can travel for free and there is a charge of INR 10 for cars. This service is available till 2 AM. After 2 AM, you need to charter the ferry and pay around INR 100. The largest artificial island in the country, the Willingdon Islands of Kochi are steeped in India's colonial history, merging well with the natural beauty of the water-locked land mass. Attractions: Some major attractions which are a must-visit in Cochin include its backwaters, marine drive, hill place, Fort Kochi, Jawaharlal Nehru Stadium, Santa Cruz Cathedral Basilica, Bolgatty place, St. Francis church and much more. The island is beautiful with natural beauty and a peaceful environment to relax in. Where To Stay: There are a number of accommodation facilities available including Kochi Marriott Hotel, Trident Cochin, Taj Gateway hotel and others at varying prices. Best Time To Visit: The best time to visit Cochin Island is especially between the months of October to February. How To Reach: The island lays 5 minutes ferry ride away from the Fort Kochi. The cost of the ferry starts from INR 200 depending on the type of boat. A gorgeous getaway surrounded by the beautiful backwaters of Kerala, Ponnumthuruthu Island is the perfect island to be clubbed with your visit to the lovely Varkala. Nicknamed 'Golden Island' due to its long sandy stretch of beaches, it is the ideal spot for the nature lovers as one gets to hear the voice of chirping of birds here amidst the red laterite cliffs and pleasant mineral springs. Attractions: Sunset is one time of the day which should surely be witnessed by the visitor at least once. Some other places which can be explored nearby include Varkala Lighthouse, Kappil Lake, Varkala Beach, Kaduvayil Jama Masjid and others. Some famous hotels situated near the island include Basuri beach resort at a distance of 5.8 km, Vakkom Palazzo at a distance of 0.6 km from the island, Villa Akasa at a distance of 4.7 km from the island etc. Best Time to Visit: The beautiful island of Ponnumthuruthu is pure bliss to visit during October to March when the area receives rainfall on the onset of the monsoon season there. Open Days and Timings: The island can be visited from Monday to Sunday, the timings being 5:30 AM to 12 PM followed by 4 PM to 7 PM. How To Reach: The nearest railway station is Varkala railway station at a distance of 5 km from the island. 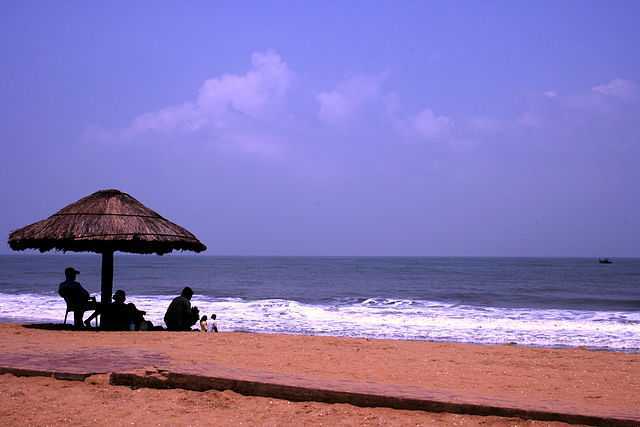 The nearest airport is Trivandrum International Airport which is 30 km away from this soothing island. The tourists are required to board the boat Nedunganda and reach the island in 30 minutes through the backwaters. The cost of the boat ride is INR 200 per person. The major attraction of the place is Shiva Parvati Temple which is very old.